I had a scenario several weeks ago when the members of my academy jumped at an opportunity to get a great video intro done for their content. Absolutely nothing wrong with that. However I wanted to share the lesson I gave them off the back of it. In social media you have literally moments to engage people. A lot of you have clicked this article and gone to read it as the image and headline engaged you. Without that engagement you’re likely just to switch off, ignore or scroll straight past it. No good for me if I want you to read and share the content I’m providing. I remember the very first thing I wanted to do as a newly qualified PT. Get a business card and logo. Now, again there was nothing wrong with that in many respects. I wanted to make my business look good. I wanted something to draw people to it. Business however is like cake. You must master baking the cake and making it taste good before you master decorating it and making it look desirable. After all, first impressions are typically what draw us, as human beings to things. We are physically attracted to people. Then we find out the core of them isn’t what we expected. 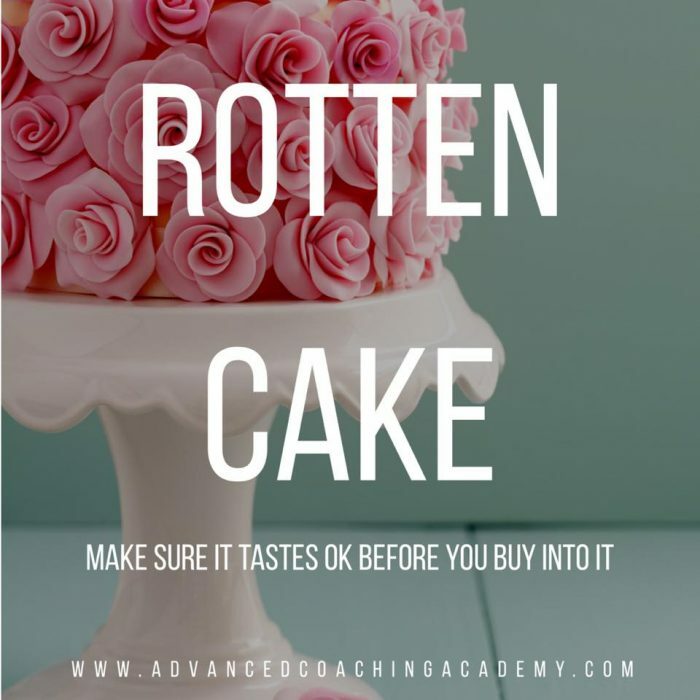 We look at a great looking cake, buy it, take a bite and it’s horrible. We feel cheated and therefore it creates reluctance to ever invest again. In both time and or money. The plethora of TV series we see now all gunning for the same audience. They start the show and engage you. Then go through the boring formality of opening credits. Often in today’s TV not stopping the actual momentum of the show. There’s a reason they do that. When people bite into the cake it must be tasty. Your content must be good, that in itself takes mastery and practice. Throwing an intro in there gives extra time to switch off. It also gives an expectancy of the quality. In the same breath. Anything you, as a person or business intend investing your time or money in make sure you’ve researched what the cake tastes like. Don’t buy into something based purely on its decoration. Work on your cake making.